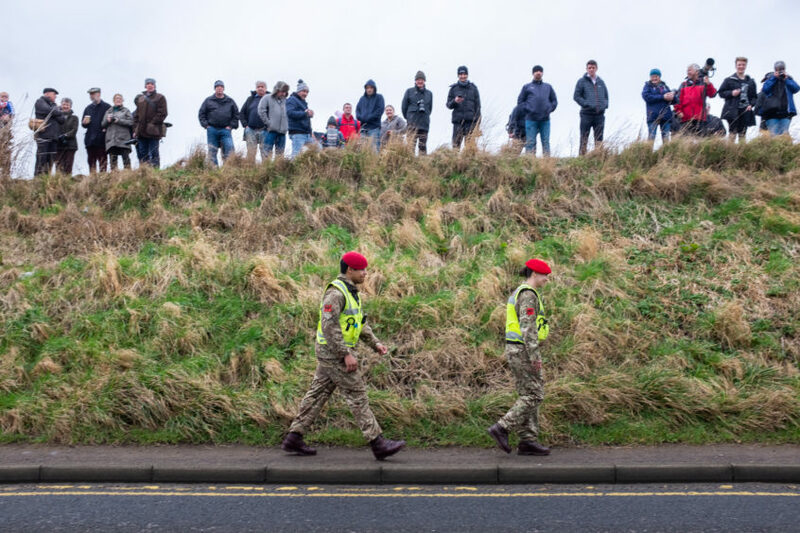 Families, veterans and aviation enthusiasts were among the crowd on “Spotters’ Hill” near Leuchars Stations on Thursday morning who turned up to mark the end of the Tornado era in the RAF. 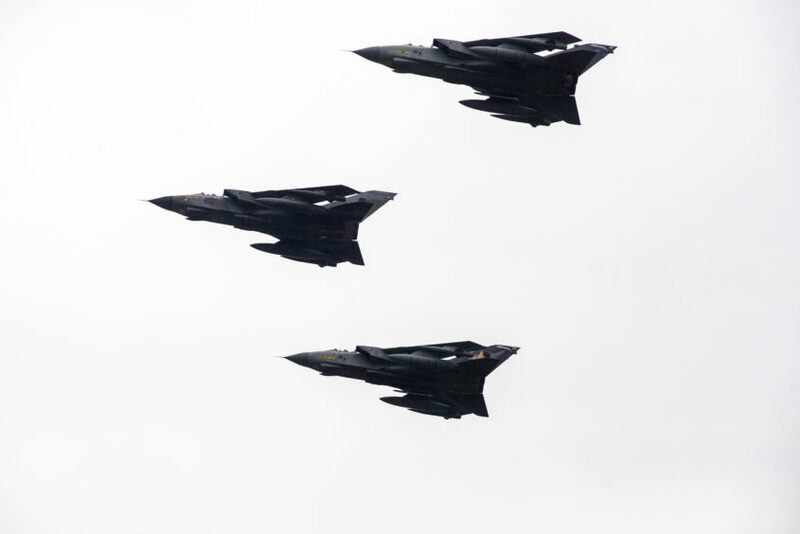 As part of the “final flypast”, three GR4s from RAF Marham flew into Fife from the east and passed low above the former airbase, which is now controlled by the British Army, before moving on to RAF Lossiemouth and RAF Tain. Spotters watching the Tornado flypast at Leuchars Station. The Tornados pass above Leuchars Station. 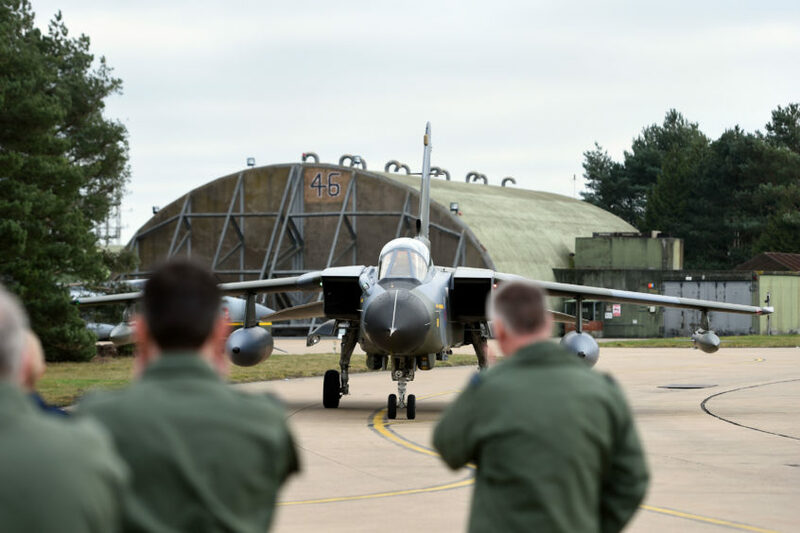 The journey across Scotland was the last in a series of retirement flights across the UK to mark the Tornado aircraft’s end of service in the military. 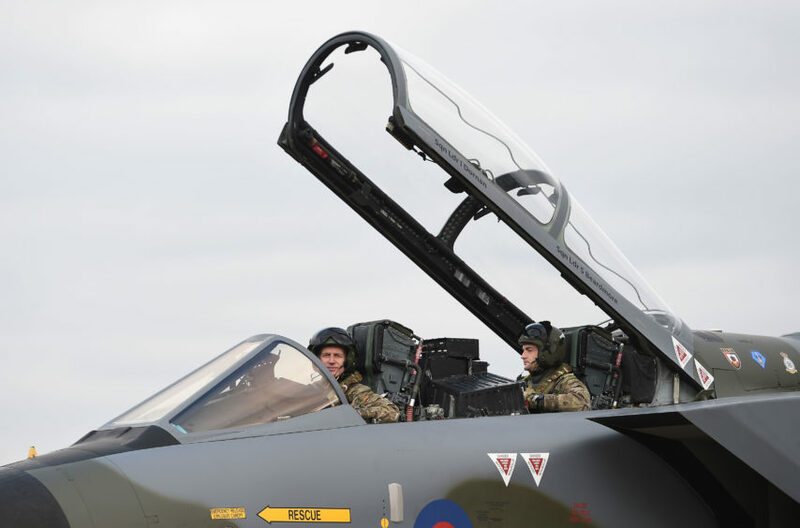 Chief of the Air Staff, Air Chief Marshal Sir Stephen Hillier, and Squadron Leader Chris Whitehair (right) in the cockpit of a Tornado GR4 at RAF Marham in Norfolk, after completing their final flights. Among those gathered at Leuchars was RAF veteran Tony Thornthwaite from Dundee, who served in the military for 21 years. He has fond memories of taking to the skies in Tornados while stationed as a navigator at RAF Laarbruch in Germany while part of 16 Squadron. A Tornado GR4 piloted by Chief of the Air Staff Air Chief Marshal Sir Stephen Hillier at RAF Marham. 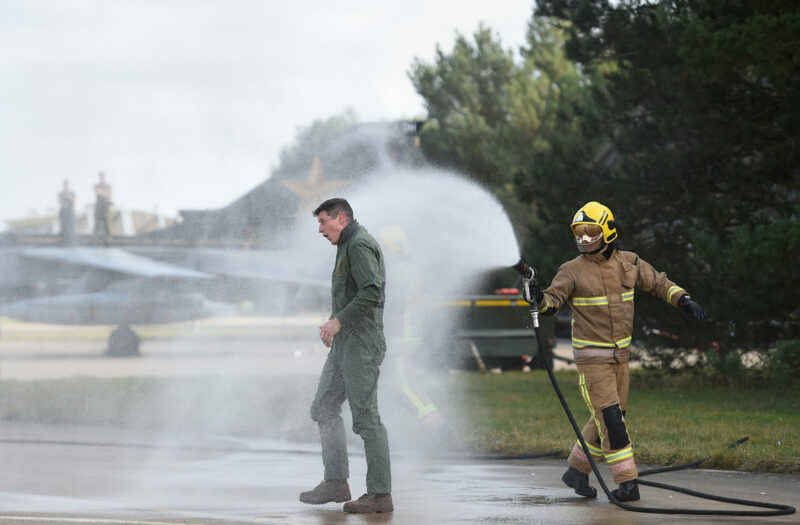 Chief of the Air Staff Air Chief Marshal Sir Stephen Hillier (right), RAF Marham station commander Group Captain Ian ‘Cab’ Townsen and Squadron Leader Chris Whitehair (left) are given a traditional soaking by fire crew after completing their final flights in a Tornado GR4. Mr Thornthwaite, now the minister at Coldside Parish Church, attended with his wife Sheila. The 68-year-old said: “Back in the eighties I used to fly them, so I’ve got very happy memories and this is the last chance I’ll have to see one flying. Also at Leuchars to watch the flypast was RAF Regiment veteran Craig Bones. 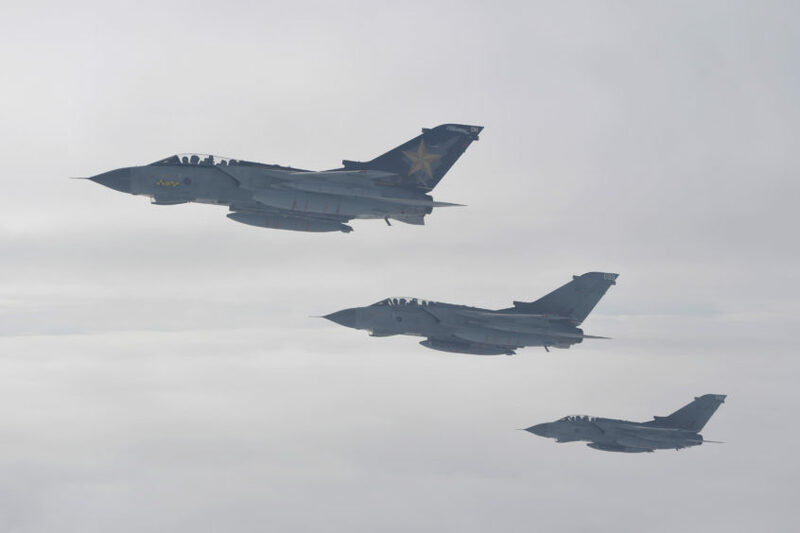 Tornado GR4s fly off the wing of an RAF Voyager after refuelling as they carry out their first day of flypasts around the country ahead of their retirement. He said: “It is the end of an era. I used to be in the RAF from 1985 to 1995 and I saw the end of the Phantoms when I was based out in Germany. It is quite a poignant moment. 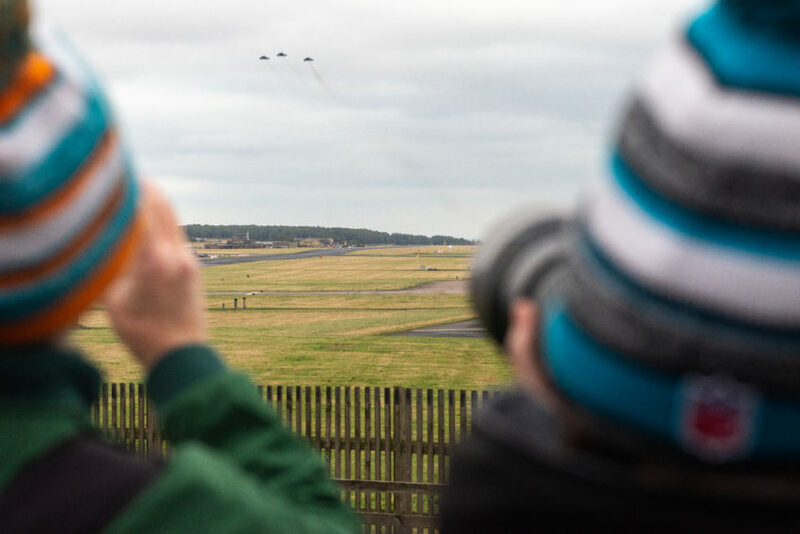 Aviation enthusiast and computing student Charlie Marsh, from Dunfermline, said: “It was brilliant and just seeing the Tornados again was just fantastic. The crowds at Leuchars Station. 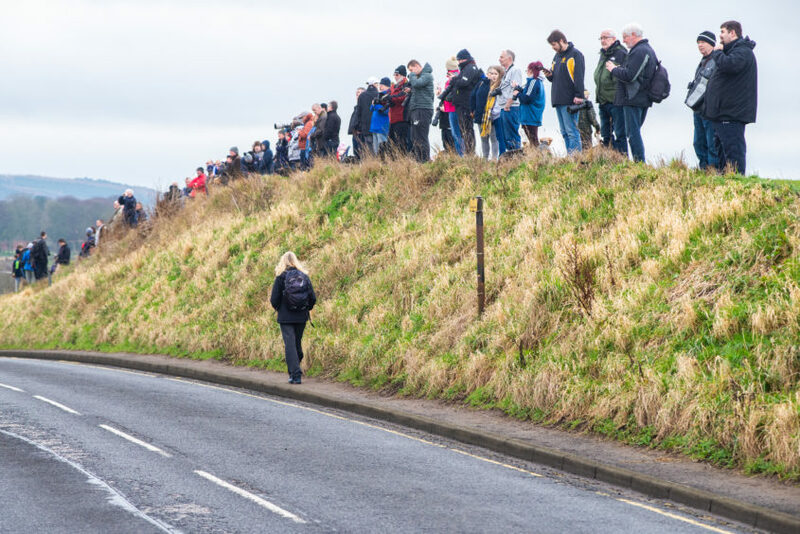 Spotters’ Hill at Leuchars Station for the Tornado flypast. Angus Walker from Glenrothes attended with daughter Erika Walker and her son Tate, 4. Friends Scott Haldane from Dundee and Douglas Cairns from Auchtermuchty also attended. The Tornado first took to the skies on August 14, 1974 and entered RAF service on June 5, 1979. Some 992 of the machines were built. They have taken part in combat operations in Afghanistan, Iraq, Kosovo, Libya and Syria. The Tornado F3 was flown by Leuchars squadrons until 2011 when it was replaced by the Typhoon.